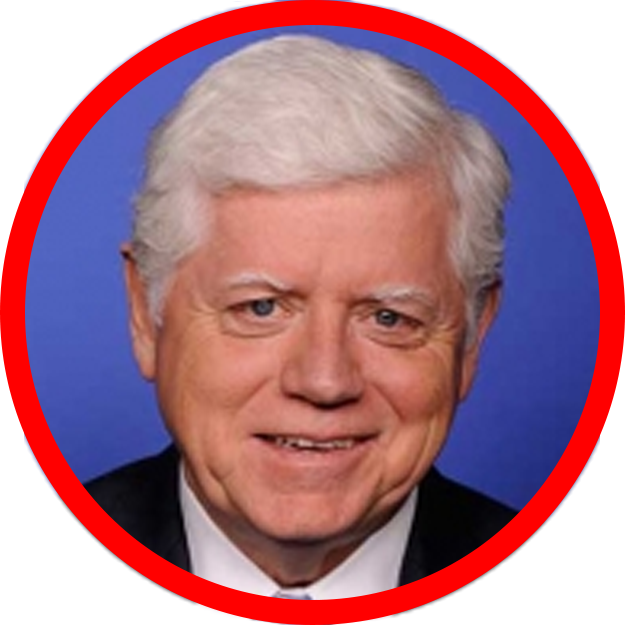 Congressman John B. Larson proudly represents Connecticut's First District. Now in his eleventh term, John sits on the influential House Ways and Means Committee—including the Subcommittee on Tax Policy and the Social Security Subcommittee, where he serves as the Chairman. Throughout his time in Congress, John has proven himself a staunch advocate for Connecticut's working families, our manufacturing and small business ecosystem, and commonsense solutions for the problems Americans face everyday. During his tenure in the Connecticut State Senate, John authored and passed the nation's first Family Medical Leave Act. It would later serve as the model for a national law. As one of eight children raised by working parents, John knew how critical it was for working families to get the support they needed. No parent should ever have to choose between their job and their child. That's why John supports expanding his original vision and providing paid family leave. First elected to Congress in 1998, John swiftly established himself as a leader and consensus builder. As the Hartford Courant has said, "in a badly polarized Congress, [John] is more than willing to work with Republicans to get something done." Recently John won an important victory on research and development, and righted a grave wrong in our tax code for those who have been wrongfully convicted of crimes. John knows manufacturing is the lifeblood of Connecticut's First District—thanks in large part to the historic Colt Factory. For more than a decade, John fought to preserve the legacy of American innovation and manufacturing that is Coltsville, and in 2014 he succeeded in securing Coltsville’s designation as a National Historical Park. Change doesn't come swiftly to Washington, but John knows some things are too important to delay. As the nation continues to battle an epidemic of gun violence, John has called on Congress to vote on bipartisan reforms most Americans overwhelmingly support. He considers it unconscionable that even in the light of tragedies like Sandy Hook and the high levels of gun violence in urban centers like Hartford, Congress has yet to even hold a vote. Frustrated by the continues silence in Congress while Americans were crying out for action, John helped organize the historic sit-in on the floor of the House of Representatives. John has been a leader throughout his tenure in Congress, on every issue he tackles. He has championed the effort to end U.S. dependence of foreign oil through advancing domestic fuel cell technology. He knows these initiatives will do more than keep our planet clean, they will spark new growth for our economy and launch thousands of exviting new jobs. That's why John introduced the Energy Independence Act, the Hydrogen and Fuel Cell Technology Authorization Act, and the Fuel Cell and Hydrogen Infrastructure for America Act to fund and promote fuel cell and hydrogen energy technology. He is also a founder and co-chair of the House Hydrogen and Fuel Cell Coalition. John stands up for those who need a champion. When he heard retirees in his district were living on $11,000 a year or less, he knew he had to act to keep anyone from retiring into poverty again. So he introduced the Social Security 2100 Act to enhance benefits and ensure the foundation of our retirement system remains strong for generations. John has also introduced proposals to allow the federal government to directly negotiate lower drug prices for over 40 million Medicare beneficiaries. Among his efforts to promote development in Hartford, John hosted a delegation of community leaders from the impoverished 06120 zip code in Washington. John helped these residents of Hartford's Promise Zone meet directly with the agencies and offices now aligned to support them. He also introduced the Promise Zone Job Creation Act to encourage employers to bring more jobs into places like Hartford's North End. Over the years, John has opposed the policies of preemption and unilateralism. He spoke out against the war in Iraq since its inception, and has focused his concerns on the threats of terrorism, protecting the homeland, and supporting first responders. A vigorous supporter of our troops, John visited Iraq three times, and succeeded in passing legislation to reimburse family members who purchased body armor for soldiers who had not been adequately equipped by the military. John also won a key victory for military families with children on the autism spectrum, ensuring their kids receive the care they need.